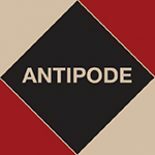 One of the very first Scholar-Activist Project Awards made by the Antipode Foundation was to Andrew Newman (Wayne State University), Sara Safransky (Vanderbilt University) and Linda Campbell (Building Movement Project). 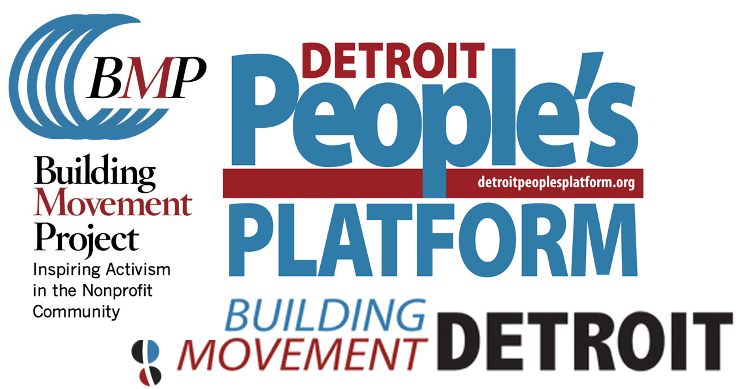 Over the last few years, their project, “Uniting Detroiters: Coming Together From the Ground Up”, has brought residents, activists and scholars together to examine critical problems facing Detroit and develop tools for collective analysis, reflection and co-research. Two years in the making, this hour-long documentary depicts the movement struggles and personal narratives of Detroiters as their city evolves from the once largest and most powerful black electorate in the country to bankruptcy and failed democracy. Within this inflicted turmoil, Detroiters speak with love, resilience and vision about the future they will create for their beloved community. Edited by Halima Cassells and Kate Levy, with a local-grown soundtrack featuring Ill, Sacramento Knoxx, Bryce, Will See and many others. Featuring conversations with: (in order of appearance) Tawana ‘Honeycomb’ Petty, William Copeland, Invincible Ill Weaver, Malik Yakini, Lila Cabil, Bill Wylie-Kellerman, Carmen Mendoza-King, Curtis McGuire, Angie Reyes, Rhonda Anderson, Valerie Glenn, Joselyn Fitzpatrick-Harris, Vincent Martin, Sandra Hines, Jeannette Marble, Michael Wimberly, Wayne Curtis, Linda Campbell, Herbert Jones, Shane Bernardo, Michelle Martinez, Yusef Bunchy Shakur, Brother Jerry Smith, Charity Hicks, Tanisha Flowers, Kathleen Foster, Lottie Spady, Norman Bent, Patrick Crouch, Lee Gaddis, Sarah Coffey, Linda Bains, Rev. Joan Ross, Shea Howell, Dessa Cosma, Aaron Timlin, Elena Herrada, Miguel Pope, Marcia Lee, Soh Suzuki, Tova Perlmutter, Sarah Sidelko, Diana Copeland, and Alia Harvey-Quinn. This turned out very nice… great to see/hear familiar faces and voices. The city is filled with great people/minds. This entry was posted on 17 September 2015 by Antipode Editorial Office in News and tagged community activism, counter-mapping, Detroit, oral history, participation, people's geography, public geographies, radical cartography, scholar-activism, social justice, social movements, the city.